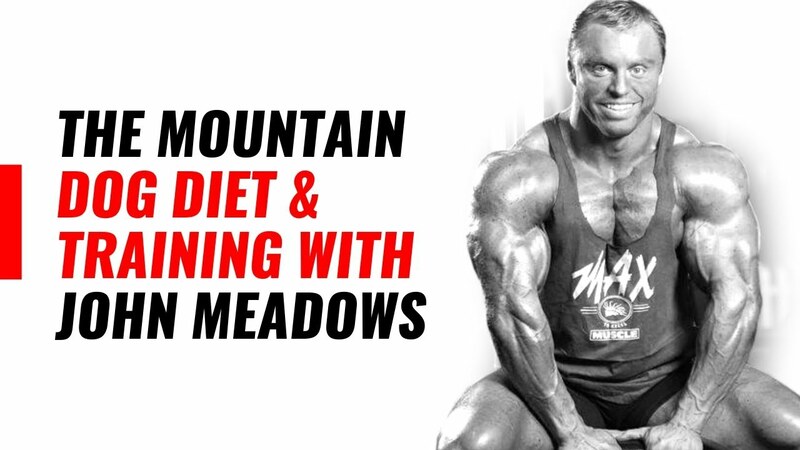 John Meadows offers a monthly workout when you sign up and join him over at the website. Tons of info there, and tons times ten when you join, a huge amount of innovative training creations that come from years of bodybuilding experience. There's diet advice and plenty of video demonstrations as well. Here's a sample Workout of the Month. Note: this is only the written part of the monthly workout. There's video to go with all of them. 10 exercises - 30 sets. Superset Dumbbell Side Laterals and Front Raises with a light weight. Do 15 reps to the side and then immediately out front. Do 2 rounds. If you use a Hammer machine, I prefer the flat press. Be careful on any Hammer chest machine not to let our elbows go back past 90 degrees, as it is hard on the rotator cuff. Do a few warm up sets. Find a weight that you can do 8 reps and leave about 2-3 reps in the tank on each set. Take these to lockout and flex for one second. Do 3 sets of 8 like this. Use the only red pro mini bands. Goal - Activation and start pump. Use a weight that is going to allow you to have 2 to 3 reps left in the tank here. Do 3 sets. Don't lock these out. Take them to 3/4 lockout and then come right back down. These are awesome for delts and upper chest. They never beat my shoulders up either. Notice the angle and where the bar is traveling. Go to failure on these. Do 3 sets of 15, where around 15 is failure. Go to failure on these. Do 3 sets of 12, where around 12 is failure. Do 3 sets of 10 here. Goal Activation and start pump. I want you to crank hard on these with some heavy weight. It's okay to loosen form SLIGHTLY. Still leave 2-3 reps in the tank though. Do 3 sets of 10. Do 3 sets of 10 here. If you don't have a T-Bar, what I am looking for is for you to be using a neutral grip, so we continue to smash our lats. So use any machine that accomplishes that goal. Do 3 sets of 15-20 here preferably. I don't want failure. Go to failure on these. Do 3 sets of 10, flexing our bis as hard as you can throughout the movement. Do 3 sets of 25 here. You can go to failure on these! The routine I outline below is a real blitzer. It involves rapid, high intensity supersets with emphasis on muscle quality and definition. I might add that a lot of research, trial-and-error, and cheating went into its development. More details on the routine later on. Let me now briefly consider things less tangible, such as the power of concentration. Unless you are totally involved in your training, gains will come slow. Being involved means total dedication and attention to what you are doing at the moment. You must concentrate on the movement of the exercise itself; you must feel the movement from start to finish, rep after rep, until the muscles yell out, "Enough!" Man is blessed with instinct, as is every animal -- but man doesn't listen to his instincts often enough (as animals do) . . . listen to your instincts and you will find the right course to take -- knowing how much is good, when to stop, etc. Moreover, involvement means knowing that progress is in progress; that your pre-set goal is nearer and nearer with every rep you do. Given time and hard work combined with the support of your positive thinking you will achieve your goal. To indulge in negative thoughts is to surrender. To become better you must be involved. Commit yourself completely to the cause when lifting. If you say it isn't practical to do so -- stop . . . go no further; you are defeated at the start. All your planning, doing, being should be positive. Let's get back to the routine itself. It's simple, quick, and effective -- and if you get involved it'll work for you. It begins with a dynamic duo, a superset, for overall muscle density; continues with my own special brand of cap slapping laterals; and ends with Don Howorth's one-arm cramp champs for striations, veins, cuts, and neat things like that. As far as the exact number of sets and reps -- that's up to you. Generally speaking, heavy weights and low reps effect muscle thickness, whereas light weights and eight reps yield muscle quality, shape, and definition. Examine your physique carefully, determine your needs, and tailor the routine to fit exactly. Sets and reps, for example, should be flexible . . . approximate them, don't count them. Now let's get to the exercises. UPRIGHT ROWING is performed in the standard fashion, feet planted firmly shoulder-width apart, knees slightly bent and body angled forward from the waist. Grab the bar with an overhand grip, hands spaced about 6" apart. Pull the bar up along the body to the chin, forcing the elbows out. This directs effort to the caps, or lateral (side) deltoids. Concentrate effort on the delts and away from the traps. This will take some practice, trial and error. Supersetted with the SEATED BARBELL PRESS, it proves to be a most compatible combination. This exercise is a standard movement with little variation suggested. For maximum effect, execute a series of half-rep burns at the top and bottom of the exercise. Keep a steady pace when performing this superset. Hesitation works against a good pump and deep-down burn. LYING SIDE ARM LATERALS have been for a long time my favorite shoulder makers. Lying on your side with your free arm and legs positioned to stabilize the body, grasp a dumbbell in an overhead position. Lower slowly and deliberately to a position parallel and at a right angle to the body. Without releasing tension raise to starting position and cramp severely. Complete half your reps in this manner and you'll notice your rear and side deltoids exploding. The remaining reps are executed by dropping the dumbbell to a position parallel and behind the back. This variation attacks the front and side deltoids, leaving nothing to chance. Turn over and repeat for the other delt. For the final touch -- STANDING ONE-ARM LATERAL CRAMPS, a la Don Howorth. Standing with one arm supported by a post, grasp a dumbbell in the free arm. Lean slightly away from the post, bend the knees a little, and raise the dumbbell in side arm lateral fashion. This is where your talent to feel the movement comes into play. How you hold the dumbbell, to what position you raise it, which muscles are actuated at the peak of the movement, etc., must be dictated by your own body. Try various techniques until you get it -- and your sensations will tell you when. Work both sides equally until your delts burn. The routine works -- if you give it a fair shake. You'll find that in about 30 minutes you'll be able to bomb, blast, blitz, and utterly devastate the shoulders. Say adios to T-shirt weather. And as you layer up to combat chillier temperatures, your caloric intake tends to increase and your workouts tend to get longer and more intense. But during these early weeks of winter bulking, some of you may notice that, despite your best efforts in the gym and in the kitchen, the gains in strength and size just aren't showing up. Instead of doubling down on a strategy that's clearly not working, we suggest stepping away from your current routine -- especially if it's a boilerplate "four sets of 8-12 reps" scheme -- and refocusing your efforts. We consulted Paul Carter, a strength coach who specializes in hypertrophy, to supply you with a new game plan that'll deliver serious results. The concept behind attaining strength and size is simple: Your body encounters stresses and demands and responds by adapting to handle more. Eventually, though, your body will get used to whatever you're throwing at it and you'll be forced to find a new stimulus (more weights or more reps) to provoke "Either the body is adapting to a stimulus or you're detraining. That's it. That's all you have," Carter explains. While the same analogy holds true for size and strength, the two are, mostly, exclusive modalities. Strength is a mainly neurological response, and size is primarily a muscular response. That's why there are small guys who can outlift bigger ones. It should be noted, though, that muscle size is a factor for strength. 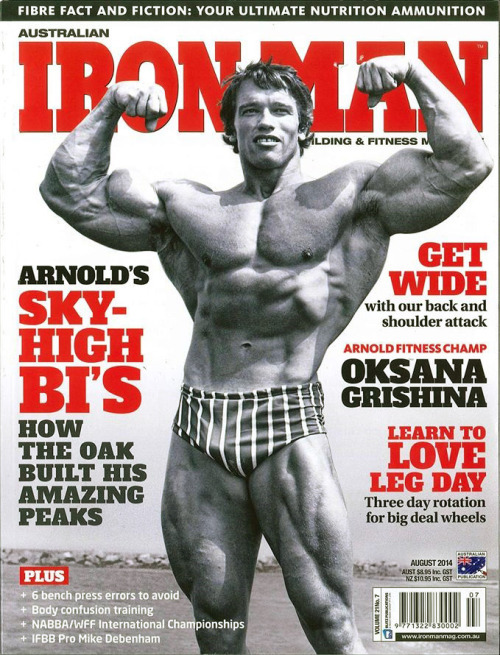 "It's about training as heavy as you can for high reps," Carter says, alluding to the type of training Tom Platz -- the Golden Era bodybuilder who set a new standard to leg size and squatted big weights for high reps -- was known for. "That's what really gets people to grow, because the amount of tension that is created during a heavy, high-rep set is enormous, and tension is where hypertrophy really stems from." "Think of it as a transitional period where you build this foundation of strength and then apply your newfound strength to your hypertrophy principles," explains Carter. "This strength-training block is going to to transition into the hypertrophy block by increasing your ability to do more reps with more weight -- and then you're going to grow." Below you'll find the set and rep schemes for each of the four main lifts. You'll perform three sets of one rep -- slowly increasing the weight each week -- to stimulate your body's neurological response. "This program is all about finding your groove with the exercises, becoming good at them, and producing as much power as you can throughout the entire lift," explains Carter. For this program you'll be using 90% of your true One-Rep Max. "When you program your training cycles, you don't base the percentages off of a true max. You base them off of a max that you could do even on your worst of days because that's a more accurate gauge," says Carter. Maximal strength refers to how much you can lift for one rep, while power is about about how quickly you can lift the weight. Many lifters are guilty of what Carter refers to as "cruising" -- once the bar gets past their sticking point, they finish with lackluster effort. Don't be that guy! Complete each rep with ferocious velocity. Bye-bye sticking points, hello muscles. Each of the four main lifts is followed by additional work (with the same movement), which varies for each; max reps (AMRAP, or "as many reps as possible") for the pressing movements, pause reps after squats, and "back off" sets following deadlifts. "These train explosiveness and add more volume," elaborates Carter. 2 sets of 3 reps of Pause Squats, 60%. 2 sets of 3 reps of Pause Squats, 65%. 2 sets of 3 reps of Pause Squats, 70%. 2 sets of 3 reps of Pause Squats, 75%. 2 sets of 3 reps of Pause Squats, 80%. 3 sets of 3 reps, 60%. 3 sets of 3 reps, 65%. 2 sets of 3 reps, 70%. 2 sets of 3 reps, 75%. 2 sets of 3 reps, 80%. Since this five-week block has less overall volume than what you're likely used to, two conditioning days will ensure that your body remains up for the challenge when you switch back to your regular hypertrophy block. Carter recommends a basic cardio plan: 15 seconds of work (at maximum effort) followed by 45 seconds of rest for 15 total rounds. High-rep training is a new -- and painful -- way to trigger growth. "For your single-joint movements you would do ultra-high reps because it is going to be a new stimulus to adapt to," says Carter. Unlike the low reps performed for most of this program, high reps hit your type-1 fibers and give you big pumps. Okay, follow this five-week program before reverting back to your normal mass-gaining routine. Use the rest-pause method to complete each high-rep set. If you have to stop, rest for 20 seconds, then continue. Squat - as explained above. Leg Press - 1 x 100 reps.
Calf Raise - 1 x 100. Bench Press - as explained above. Bench Dip - 1 x 100. Straight-Arm Pulldown - 1 x 100. Dumbbell Shrug - 1 x 100. Keep your whole body tight, and don't arch your back. It that happens, use less weight. Reverse Pec_Deck Flye - 1 x 100. Plate Front Raise - 1 x 100. Here in this third article from the same April '68 Muscle Builder/Power mag there's opening talk of routines gone stale, overtraining resulting from overextending . . . trying to get out of the rut . . . crashing . . . burning . . .
And who hasn't gone down there.
. . . The once-intelligent routine is then extended beyond the point of recuperative capacity and we begin flogging ourselves without mercy. Consequently, the tissues refuse to flush, our strength decreases and muscle, tendon, and joint soreness becomes prevalent. Moreover, we begin to lose muscle size and definition, the tissues become spongy and our training spirit dies a slow death. To the Rescue: Instinctive Training! There is only one way to combat this enemy . . . to be victorious we must train instinctively. [And here I can't help but direct you back up the page to those three gems, er, books. If your training's become rote and 200 pounds grows heavier by the day . . . check them out! Your lifting soul will thank you, bro. And don't forget, they're written three, four and five decades following this article. All that experience and training wisdom, offered up.] Simply arranging a bodybuilding schedule and merely going through the motions with high hopes is not enough. The routine must become part of us, almost a way of life. We must learn to rely on our instincts -- feeling each exercise, each set, each repetition -- knowing what they do and when they are no longer doing. There will be weeks, months when the body will respond to heavy weights and low repetitions; other periods will show gratifying progress through light poundage and high reps and sets. Gain weight or lose it when you "feel" the need. "Listen" to your body and it will tell you what to do. I don't advocate haphazard training by any means; I'm extremely organized in my training habits and find this essential to progress. But we should not remain on a routine any longer than the margin of our response permits; this is usually from 4 to 6 weeks, depending on the severity of the routine, our individual effort applied and our particular body chemistry. Furthermore, when reorganizing a workout schedule, it is wise to begin with relatively light poundages. This will allow us to become adjusted to the change of exercise ("develop the groove") and permit weight progression without setbacks. It is far better to add weight than to subtract -- both physically and psychologically. This practice can also be applied to the number of sets and repetitions you tackle. But take caution . . . "listen" to your body and keep your wits in keeping tap on your enthusiasm. As a guide, you'll find below a general routine of the split variety. It has long been my standby when I hit a training snag . . . I go on it and pull myself right out of a rut. Give it a try if you're in a training mess now . . . but use poundages, sets and reps according to your individual needs -- according to your instincts. 3 to 5 sets, 6 to 8 reps. For upper pec/delt tie-in and a great power movement. 3 to 5 sets, 6 to 8 reps. For ribcage, overall pec development with an emphasis on the inner pecs. 3-5 sets of 6-8 reps. For lower pec development and overall trimming, muscularity and shape. 3-5 x 6-8. For overall deltoid growth. A growth/power exercise. 3-5 x 6-8. For overall shoulder thickness and shape with accent on caps. Works traps thoroughly for delt/trap tie-in. 3-5 x 6-8. For rear delt thickness. Gives star appearance to this often neglected area. 3-5 x 6-10. For the long head, lower region. Another power movement for thickness and size. 3-5 x 6-12, no weight. For inner head. Full extension advantageous. 3-5 x 6-8. Use a high flat bench or set something up. For biceps peak. 3-5 x 6-8. For lower biceps. 3-5 x 6-8. For biceps thickness and overall size. Good power exercise. 3-5 x 15. For belly of forearm. 5 x 20. Upper abs. 5 x 20. Lower abs. 5 x 20. Overall ab development, also attacks the obliques. 3-5 x 8-12. Performing with overhand grip attacks serratus and upper lats. 3-5 x 8-12. Done in stiff-arm style, works the serratus and upper inside lat. 3-5 x 8-12. In front of neck it works front overall lat; behind neck it works upper back area. 3-5 x 8-12. Powerful movement giving back thickness and muscular depth; pull cable to waist for lower lat, to upper torso for upper lat. 3-5 x 20. For lower back development and therapy, warmup for leg work. 3-5 x 6-8. Develops full thigh muscle. A power-builder that develops size and thickness. Accent on sweep. 3-5 x 6-8. Attacks entire thigh with accent on inner development. 3-5 x 6-8. For front thigh muscularity and particular development of vastus internus. Great knee therapy. 3-5 x 10-15. Develops massive leg biceps. 10 x 15-25 reps. Overall calf growth. Toes in for outer area and toes out for inner area. 5 x 15-25. Particular emphasis on lower calf area. Created hind cut and accentuated diamond-like appearance. It is essential that you change when you feel the need, when your present program ceases to yield results. This may mean changing your program entirely, or increasing the severity, or diminishing the severity. The routine above would probably be too severe for a relative beginner, maybe not for an advanced bodybuilder, and it is perfect for me. That's just the point -- you decide what's perfect for YOU. I offer this program only because it is filled with variety, and I've found it extremely helpful in overcoming snags . . . maybe you prefer something else, or choose just a few of the exercises I list and construct a routine out of this. To put it another way -- train instinctively, that is -- do what's best for you in particular. Remember -- let your instincts be your guide and Mother Nature and effort on your part will reward you. This article is credited to Sergio Oliva, who had just won the 1968 Mr. Olympia and was a pretty hot property in the mags at the time. Okay then, let's forget who actually wrote it and find out if there's something of use for you here! Surprisingly, my routine is not nearly as complicated as some bodybuilders would expect. I use supersets a lot, and I train instinctively as far as my daily poundages and exercise selection go. This is a five day per week layout, with the weekends free. The weights given are what I use on most days. You can adjust up or down to match your own levels. I keep moving when I train, keep my heart rate up and that's just the way I like doing it. Change weights and on to the next set. I was influenced an enormous amount in this respect while training with Bob Gajda. 135 x 10, 225 x 5, 315 x 5, 350 x 3, 375 x 3, 400 x 1, 380 x max reps, 360 x max reps, 340 x max reps, and so on decreasing 20 lbs. per set down to 135, so, with the few warmups sets, the triples and the single I do around 20 sets of benches. sets of 10 reps done between sets of the bench presses as I work up to 400 pounds. sets of 10 done between sets of the bench presses as I work back down to 135. Wide Grip Dips, 5 x 10 with 120 pounds. Dumbbell Press, 85's x 5 sets of 15. Bentover Row, 150 pounds x 5 sets of 10. Situps, 5 x 50 reps. Standing Raises, 5 x 25 reps with 200 pounds. Barbell Curl, 145 for 5 sets of 10. One Arm Pressdown, 90 for 5 sets of 15. Seated Triceps Press, 100 for 5 sets of 10. Leg Raise, 15 sets of 25. I put the one legged calf raises in between sets of squats. One Legged Heel Raise, 200 pounds for 15 sets of 20. Friday: Repeat Tuesday, and add some Leg Extension / Leg Curl Supersets after the arm work. Here's an article from a '68 issue of Muscle Builder/Power. The author is listed as Don Howorth, but no matter who, if it's got something in it you can use, well then, it's all good. There's actually three articles from this issue I hadn't noticed before. How Many Sets, How Many Reps? The main problem most bodybuilders want to overcome is a perceived slowness in bulking up. They want to know how to put on more muscle quick! Basically this problem can be solved by exercises that are employed on a high set / low rep schedule. The number of sets can vary from 4 to 10 an the reps from 5 to 7, or a few more if you're 'forcing' the reps at the end. It's the additional one or two reps you force out at the end of each set that makes the bulking program work so much better. However, because the far heavier weight you will use in each exercise, especially when you force out extra reps, makes terrific demands on your body, you will have to rest thoroughly between sets. Try to keep the rest periods below three minutes, though. I'll outline two bulk programs here. The second should be used by more advanced lifters, however, when the first program begins to stall, going on to the second will keep the gains coming in most cases. So, the first program. There aren't many exercises in this one, so keep on pushing the weights up more and more in all the exercises whenever you can. Now, if your thighs are mild and your chest is wild, you should be doing 10 sets of 6 on the squats and only 6 x 6 on the bench press. Or, if your arms aren't up to snuff, then do 10 sets of 6 on the Curl and the Extensions. Remember, however, to keep conscious of the truth of what your physique looks like, lest you wind up looking like a big armed light bulb walking around on toothpick legs. In this layout you'll be choosing two exercises for each major muscle group (chest, shoulders, thighs, arms, upper back). One of the exercises for each muscle group should be a heavy exercise, a big movement that allows you to use big weights. The other should be more of a shaping exercise, something of an isolation movement. For example, for the shoulders I would pick the Press Behind Neck for a heavy movement and Incline Side Lateral Raises for a shaping movement. There's a lot of exercises to pick from, so you shouldn't have any trouble keeping your training fresh over time. Make sure to keep adding weight on the heavy exercises and taking good sized rests between the sets. On the shaping movements, try to get a better contraction and extension on every rep, adding weight when possible but not at the expense of strong feel. You're now ready for the next advancement in our training. And you'll like this one. It's designed for pure and simple upper body bulk. Let's stop at this point and discuss briefly the bulk and power I keep referring to in these articles. What I mean by bulk, and what this series is designed to produce, is your maximum muscular size. Not fat! At this stage we're not worried about maximum definition either, but enough separation will be maintained so you can reduce to contest condition with a short period of specialization after you're big enough. Regarding power -- you're not training to be an Olympic lifter, but you should have about the same degree of all round strength. It's a sad fact, but true, that some bodybuilders have built their physiques without ever getting much stronger than the average man. It's easy to ignore this, and some magazines do. Fortunately, Strength & Health doesn't. When you finish this series, you'll be a Hercules in ability as well as appearance. You'll be every bit as strong as you look, and then some. Just to quickly summarize our goals. 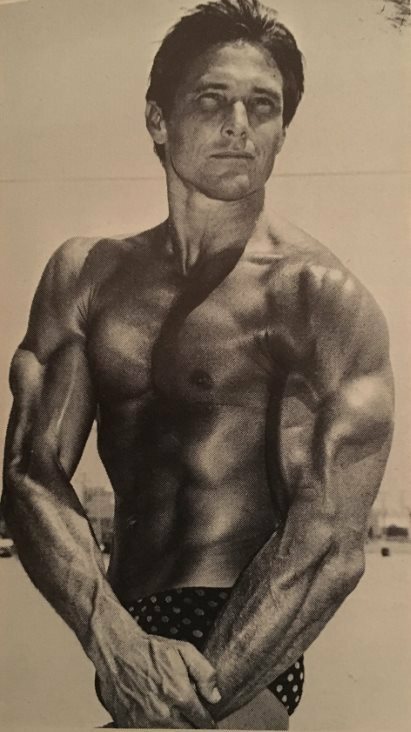 At this point, we're striving for the approximate appearance and strength of Reg Park, or Bill Pearl, or John Grimek before they train down for contest definition. And right now we're going to advance another step towards that goal by increasing the bulk of your upper body. There's no doubt that upper body bulk is the big thing with fledgling bodybuilders. They may realize the need for power in the legs and back, but the upper body still has a magnetic appeal that's hard to resist. The trouble with bulking the upper body, and the reason for most bodybuilding failures, is that too many bodybuilders specialize on it too soon. You can walk into any gym in the country and see scrawny kids slaving away on their arms and shoulders long before they're ready for it. Most of them don't make too much progress. They eventually become discouraged and quit. The hard and bitter truth of the matter is that if they'd spent the necessary time and effort building up a proper foundation first, then they'd get the results they want from their curls and presses. Remember -- it's a fact in training and you can't get around it -- that you can't build really impressive bulk in your upper body until you've built the proper foundation in your legs and lower back. If you've followed this series as written, you should have some of your foundation by now. You should have enough power in your legs and back to warrant a short session of straight upper body bulking. The degree of foundation you've built will determine the results you'll get from this program. If you've built properly, you'll gain inches and pounds of upper body bulk. You'll add slabs of muscle all over your arms, chest, and shoulders. You'll transform your appearance drastically in the next few weeks. But remember -- this program is based on the assumption that you've followed the series to date. Don't try this program if you haven't. You'll be wasting time that could be better spent on squats and back work. If you're just starting, order back issues of Strength & Health and build the foundation first. then you'll make the gains you want on your upper body. Building muscle is a complex affair. Let's set a few preliminary points in order. You'll be working out four days a week -- Mondays, Wednesdays, Fridays and Saturdays. Don't work out any oftener. It isn't necessarily true that six hours of exercise is six times as good for you as one hour. There's a happy limit. Don't exceed it. Make sure that you get enough rest and sleep. You won't gain without it. Eight hours sleep a night is the rock bottom minimum and ten would be better. A short nap during the day is a big help. Lie down and take five whenever you can. Don't skimp on your rest, you're only cheating yourself out of the eye popping build you're working for. You're still trying to gain weight, so be sure you eat enough. We're going to delve into the whys and wherefores of diet in another article, but for now eat lots of good food. Eat three big meals a day and a snack between each meal and at bedtime. Take the "Get Big Drink" as outlined in the November '65 issue of Strength & Health, or Gain Weight and milk. All the exercise in the world won't put weight on your if you don't eat enough. Use fractional relaxation and auto-suggestion to improve your mental outlook. Maintain a calm and tranquil mind. Worrying is the one sure way to stop your progress. It's hard not to worry once in a while, but keep it to the minimum. All the above points are essential. Don't overlook any of them. Put your mind to work and build your body wisely and well. 1) Prone Hyperextensions. You should be getting pretty good at these by now and you should be developing a fair lower back. Don't worry too much about the poundage for this program. Increase the weight very, very gradually. Work at developing style. Concentrate on a flawless performance with complete extensions and contractions. You should be able to isolate the action almost completely to your lower back. Do the extensions for 3 sets of 10. 2) Breathing Squats. You'll be doing 2 sets of 15 on these. Do the first set as heavy as you can. Try to get the weight well over the 300 pound mark. Put out to your absolute limit. Drop the weight a full hundred pounds for the second set and step up the effort on the breathing. Three to five big breaths between each rep. The weight won't be heavy so concentrate on your lungs. Make each breath as big as you can. Lift your chest and shrug your shoulders a couple of inches. The key to a big upper body is a big rib box. Nobody ever developed a really herculean upper body on a small rib box. You can gain a terrific amount of chest size just by increasing your rib box with breathing squats. Slap on heavy pecs and lats and you're into the 50 inch class. Keep your head up, your back flat, and your chest high. Work at making your chest ache from the heavy breathing. 3) Pullovers. Do 20 pullovers with a very light weight after each set of squats. Keep your lower back on the bench during the pullovers. Don't just arch up. You're supposed to be expanding your chest, not practicing the wrestler's bridge. You can take five now and get rested up for the upper body work. You're going to need some equipment for this program. Buy it or build it if you haven't already got it. Equipment is one thing you can't afford to skimp on. If you're going to put out the necessary time and effort for a good build then you may as well do it properly and get results. You'll need a flat bench, an incline bench, parallel bars, and an overhead pulley or lat machine. You'll need ample weight and you should have two sets of dumbbells to allow you to alternate exercises without having to change the weight every time. Give some thought to building up a nice home gym. We'll talk more about it later. It's not really that expensive when you spread the cost over the number of years you'll be using it. It'll pay for itself many times over the course of your career. You'll be doing the exercises in pairs. We'll call each pair A and B for now. Alternate back and forth between A and B with 30 seconds to a minute's rest between them for the required number of sets. After you finish the first pair, you go on to the second pair and treat it the same way. Then a short rest and on to the third pair and so on. The exercises are grouped for maximum flushing of each body part. You start with work for the chest and shoulders by alternating bench presses and the alternate forward raise with dumbbells. Do them for five sets each. Do a set of bench presses first. Take 30 seconds to a minute's rest and do the alternate forward raise. Then another set of bench presses and another set of forward raises. Keep this up for 5 sets each. The second pair of exercises for the chest and shoulders is the flying exercise on a flat bench and the lateral raise to the side with dumbbells. Do them each for five sets. Alternate them in the same fashion as the first pair. A set of the flying exercise, then a set of lateral raises, a set of flying, a set of lateral raises, and so on. You'll need two sets of dumbbells. It takes too long to change the weight between each exercise and you lose the pumping effect. You can take a rest now. Sit down and put your feet up for four or five minutes. The next area we hit is the upper back and shoulders. The first pair of exercises is bent forward rowing and lateral raises with dumbbells while bent forward. Do them each for five sets and alternate them as before. The next pair is pulldowns behind the neck with the pulley machine and presses behind the neck. Alternate them for five sets each. That wraps up the back and shoulders. Now take another four or five minute rest. We wind it up now with arm work. The first pair of exercises is barbell curls and parallel bar dips. Five sets each and alternated. The final pair is incline bench dumbbell curls and triceps extensions on the pulley machine. Alternate them for five sets each. Don't go poundage crazy on this program. Work for a nice smooth performance on each exercise. Use all the weight you can, but perform the exercise in a steady, even manner. Pick a weight that will allow you to get 10 reps out of the first two sets on each exercise. You should only be able to make eight or nine reps on the third set, and from five to eight on the fourth and fifth sets. Take a minute rest and repeat the three exercises in the same order. Take about 30 seconds rest between exercises. Use very light weights. From half to two-thirds of what you normally use in those exercises is plenty. You don't want to tire the muscles, just put a mild pump in them. If you can do the three exercise series three times on Saturday. Once in the morning, once in the afternoon, and once in the early evening. The whole thing is a pretty rugged program. It's not for beginners. Follow it exactly as written and don't try to toss in any extra exercises. Don't forget -- this routine is designed for people who have a fair degree of bulk and power in the legs and back. Don't waste time on it if you haven't been working properly on the power exercises. Set it aside and tackle it when you're ready for it. remember to get lots of rest and sleep, eat plenty of good food, take supplements for weight gaining, and maintain a relaxed and cheerful outlook. You ought'a be hunting for bigger clothes when we make our next advance. You don't have to choose between being strong and looking good. Powerbuilding is for people who want to build a physique that's more than pleasing to the eye; who want to build a physique that's functional and can move real weight. Nobody wants to be able to put four plates on each side of a chest press machine for reps only to be crushed by three plates on a regular bench press. A powerbuilder focuses on proficiency in the big three lifts (squat, bench press, and deadlift) because they are the best determinants of raw strength with a barbell. Powerbuilding also focuses on creating a bodybuilding-style physique with all the qualities of broad shoulders, trim waist, low body fat and balanced muscle mass. You have to keep your body guessing if you want it to grow. The mix-up in rep ranges and volume of a powerbuilding program will be a shock to anyone who has only been doing bodybuilding-style training for a long period. Directly, you will build muscle from pushing more weight. You'll be able to lift a lot more weight on a set of five reps than a set of 10, and that will engage your muscles in a whole new way. Indirectly, after you finish the program and go back to straight bodybuilding you will be pushing a lot more weight than you were, and this is going to make you blow up. Let's be honest, being strong is cool. Looking good is cool. Being strong AND looking good is REALLY cool. It's a great feeling walking into the gym feeling strong, like you could move as much weight as you want on any given day. Powerbuilding can help you do this in a way that regular bodybuilding alone can't. By prioritizing strength gains as a measure of progress and applying the proper deload and intensity programs, you'll guarantee yourself PRs rather than just hoping to get stronger over time. Lowering your reps will give you a whole new skill set. That's right, lifting big weights is a skill -- it's something that takes practice to perfect. If you consider yourself a student of the game, you will want to take the time to learn how to squat, bench, and deadlift using the most efficient and strongest form possible. You will need to be patient with yourself. Just like it takes time to create a mind-muscle connection to make muscles grow, it also takes time to discover your own best leverages and ideal form. Have you ever seen the guys who look awesome from the front and then they turn to the side and they almost disappear? This is called a two-dimensional bodybuilder. I'm speaking from experience. It always used to bug me that I had a great front lat spread, broad shoulders and a small waist, but when I turned to the side I vanished. If you suffer from 2-D muscle syndrome like I did, one of the best solutions id to start squatting, benching and deadlifting heavy. Your entire back is used directly or as stability during all three of these exercises, and the heavy work from the bench press and overhead press will add thickness to your shoulders and pecs. 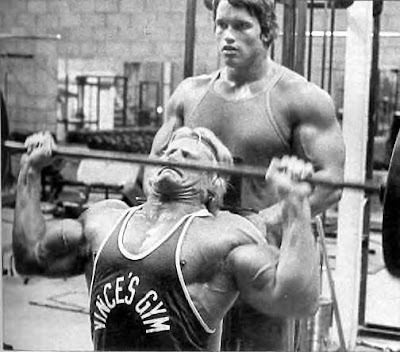 Over time, as you get stronger, you'll develop a much thicker look in your upper back, traps, chest and shoulders. A powerbuilding routine is similar to a bodybuilding routine with a few changes. Aside from measuring progress by your appearance, a powerbuilding program also focuses on strength by using powerlifting techniques such as regular deloads and increasing intensity over time. In bodybuilding, squats and bench presses are just one tool of many to shape the body, and the conventional deadlift rarely gets used. Powerbuilding is all about building a physique with strength to match, and in that case, if you want to move real weight, you've got to become proficient at these exercises. You'll want to adjust your current form for the big three. You'll probably be used to feeling squats in your quads, the bench in your chest, and the deadlift in your back. But that 'feeling the muscle' approach isn't the most effective for your leverages. It doesn't mean that you shouldn't feel it there, but the goal is to move the weight as efficiently as possible in the three powerlifts, and oftentimes you feel that all over. Before I started working with powerlifters, I had no idea what a deload was. I just knew to get in there, lift as hard as you can, mix up the workout, and every few months take some time off. This worked great for the first couple of years, but after a while it just left me plateaued an battling nagging injuries. Enter the deload. Everyone has their own theory on when they should be used, but for this, program consistency is the key, and frequent deloads will make sure that you can safely push it hard, then back off, and be ready to push it again when you're recovered. In the powerlifting world, a deload is a week using about 50% of the usual load. It ensures you will be ready for the heavy weight to come. In powerbuilding, we drop the big three lifts down to 50% of your max lift and work on form, also lowering the intensity on the hypertrophy work in order to facilitate recovery. It shouldn't be a walk in the park, but a deload week will be lighter and easier than the other weeks. The goal is to pump blood to the muscle and stimulate the fibers without taxing the nervous system so that the body is fully recovered by the end of the deload week. It'll seem boring and maybe even useless at first if you're used to just going all out all the time in bodybuilding, but once you go through a couple of deloads and realize how strong you get post deload, you'll never train again without them. Just like bodybuilders increase cardio and decrease food over time as they get ready to peak, powerlifters increase the intensity (weight used) of their sessions as they get ready for a meet. If you can start a diet and lose fat eating 3000 calories a day while doing no cardio, there's no reason you would change it to 2000 calories a day and an hour of cardio daily as long as you're getting great results. The same idea goes for lifting heavy weights. At the start of the cycle, you'll still make headway and get stronger by leaving a couple of reps in the tank. If you don't feel drained after the main exercise movement, then go heavier on the hypertrophy work. Taking the final set of the hypertrophy work to failure is a good rule of thumb, and forcing some reps on small isolation work is fine. Keep in mind, nobody got overtrained from a tough set of biceps curls, but a few too many heavy deadlifts or even barbell rows can mess you up pretty quick, so be intelligent when you get intense. Know yourself. For a powerbuilding program you'll still be using most of the same exercises for your hypertrophy work, you'll just be focusing on numbers and weight with the big movements before moving on to smaller movements. For the Big Three, you'll be doing a squat, bench, or deadlift, followed by a main assistance movement. There's one more day for overhead pressing, but there won't be any power assistance after it, it'll just be hypertrophy based. Pyramid up in weights on each set. For instance, when Week One demands 5 sets of 6 reps of bench presses, find an appropriate start weight for the first set that is challenging, and then add some weight to each set until on the final set you're about two reps shy of full failure. For hypertrophy, find weight that is challenging but doable or the first few sets and then take the final set to failure. After the first deload week, repeat the program for another four weeks, but try to beat the weights you used on the previous weeks. After eight weeks (two full cycles), spend week nine working up to a heavy set of two reps for the Big Three. Week 10 will be devoted to hitting a one-rep max. 5 x 6 reps, 1 top set, leave 2 reps in the tank. 4 x 4 reps, 1 top set, leave 2 reps in the tank. 3 x 2 reps, leave 2 reps in the tank. Deload, 5 singles at 50% of max. Close-Grip Bench Press, 4 x 8, 6, 5, 4. Use a weight that leaves 1 or 2 reps in the tank on each set. Flat or Incline Machine Presses, 3 x 12, 10, 8. Dips, 3 sets of bodyweight reps.
Pec Flyes, 3 x 15, 12, 10. Same as on the Bench Press. Deficit Deadlift, 4 x 8, 6, 5, 4. Use a weight that leaves 1 or 2 reps in the tank on each set. Lat Pulldown or Pullups, 3 x 12, 10, 8. Dumbbell Row, 3 x 12, 10, 8. Machine Row, 3 x 15, 12, 10. Barbell Curl, 3 x 12, 10, 8. Dumbbell Hammer Curl, 3 x 12, 10, 8. Standing Overhead Press, 4 x 12, 10, 8, 6. Use a weight that leaves 1 or 2 reps in the tank on each set. Dumbbell Side Lateral, 3 x 12, 10, 8. Dumbbell Bentover Lateral, 3 x 12, 10, 8. Face Pulls, 3 x 12, 10, 8. Shrugs, 3 x 15, 12, 10. Barbell Skullcrusher, 3 x 12, 10, 8. One Arm Cable Pushdown, 3 x 12, 10, 8. Same as Bench Press and Deadlift. Pause Front Squat, 4 x 8, 6, 5, 4. Use a weight that leaves 1 or 2 reps in the tank on each set. Leg Press, 3 x 12, 10, 8. Leg Extension, 3 x 15, 12, 10. Leg Curl, 3 x 15, 12, 10. Lunges, 3 x 15 each leg. I can't really count how many times Dave Draper's writing has influenced my day. There'll be the bad ones, when I really don't have the sand to get warmed up and work out. If you're training hard enough you know we all get that now and then. For a while back in the past, I would get a cup of coffee and read one of Dave's articles . . . and just see where it went from there. Now, after years of catching the lifting bug from these well chosen words, I get a coffee, read an article and lace up my lifting shoes while doing it. Hey, Dependable Dave doesn't just get you to work out with these words, he makes you WANT to do it, and want it bad in a good way. Count on it. That's the deal here. He's a wee bit of a hypnotist with those words of his. Real sly guy. Not so much the whip, more like the candy stick. I mean, if you're a lifter you LIKE to lift, and all you need is a reminder of the whys now and then. Dave can find 10,000 ways to do just that and I kid you not. Highly recommended. And not just for motivation! These articles are a great read for lifters anytime. The little boy drowned about one o'clock Sunday afternoon. The police phoned up and then sent a car for me. I knew the driver. He'd been working out down at the gym without much success for about a year now. I'd put on my wet suit when I got the call and he helped me load the rest of my gear in the back of the car. I climbed into the front seat beside him. "Little boy," he said. "Playing on the fishing boats and he fell in." We drove through town and turned on to the dike, the policeman driving very slow and careful because of the snow packed on the road. We pulled on the fish wharf and stopped and we got out of the car. There was another police car there and the Fire Department inhalator truck with its motor running and the red blinker flashing on the roof. One of the firemen came over and held my tank for me while I wriggled into the harness. I picked up my flippers and walked to the end of the dock. The police were heaving grappling hooks out into the river and pulling them back in slowly. "You wanta quit while I'm in the water," I said. "I don't want you digging me with one of those things." "Sure." He coiled the line, his thick mitts making it slow and clumsy. "What d'ya think?" "I dunno," I said. The slush ice on top of the river was sliding by fast. "If he hung up on a snag or something we'll get him. Otherwise he's probably halfway to China by now." I tied the safety line and gave it to the policeman to pay out. The river looked like old coffee on top, but it was jet black on the bottom with no visibility at all. O worked my way out in widening circles, probing around in the soft muddy bottom with my hands. I went slowly because the bottom was littered with tin cans and broken glass from the fish boats. I worked till my tank was empty and then surfaced and climbed back up on the dock. "No luck?" the policeman asked. I shook my head. "I'll try another tank." My lips were stiff and the words sounded distorted. "I don't think it's any use." I walked over and sat in the back of the inhalator truck. The firemen threw a department blanket over my shoulders and handed me a mug of hot tea. "One of the fishermen made it." I don't like hot tea, but I sipped it anyway. I was starting to shiver a bit. The policeman who works out at the gym came over and stood beside me. "How ya doing?" he asked. He picked up my mask and turned it over in his hands. "Can you see anything down there?" I shook my head. "No, it's too dirty. I just feel around." "Gosh,' he said. "I think I'd crack up." He shivered. "I dunno. My nerves wouldn't take it." I sipped the tea. "There's nothing down there that can hurt you." "I know," he said. "But I couldn't do it." I pulled the blanket tighter around me. "You got bad nerves." "I guess so," he said. "I get awful jumpy." "How long have you been working out?" "A couple of years," he said. "Why?" "Nothing," I said. "Only weight training's the best thing in the world for your nervous system. You oughta have nerves like a cigar store Indian by now." I sipped the tea. It felt hot in my stomach. "I've watched you at the gym. You don't seem to be doing too much." "I work out at home too, you know." "Do you?" I said. "I didn't know that. When?" He told me and I said, "No wonder you're jumpy, that's too much." "Would you do it?" he asked. "Sure," I said. I finished off the tea and set the cup down. "You're trying to gain weight, aren't you?" "But I bet you're not gaining any." "That's right," he said. "I'm not." "You won't either," I said. "Not till you get your nerves settled down." I shut off the empty tank and unscrewed the regulator. "You can use nerves like a kind of a barometer. If you're calm and relaxed most of the time, then you're in good shape for gaining weight. But, if you're all shook up and frazzled, then you won't gain no matter what you do." I picked up the mouthpiece and blew muddy water out of the regulator. "You gotta get your nerves in shape before you even think about gaining weight." "How do you go about that?" he said. I took the dust cap off the other tank and screwed the regulator on. "Well, first of all," I said, "cut down on your training a little bit, and get more sleep for a while. You've probably gone stale. Any time your nerves are all unscrambled it's a pretty good sign you're overworking." "It's like putting money in the bank," I said. "Put in more than you take out and you build up a balance. But take out too much and you're in trouble." I cracked the valve on the new tank and sucked air in through the hose. It tasted flat and metallic. "It's the same thing with weight training. The right amount builds you up a balance of energy and nerve tone. But if you overdo it, then you deplete your energy supply and your nerves come all unstuck." I laid the tank down and straightened the kinks out of the air hose. "When you go stale and your nerves get bouncy you should pay special attention to your diet. More calcium and a big boost in the B vitamins is the best way to overcome staleness and nerve trouble." "You mean I should eat something special?" he asked. "Right," I said. "Supplements. It's tough to get enough of the B vitamins in your regular diet. The best way is to take supplements rich in them." I picked up the weight belt and checked the release buckle. "York puts out a good liver, iron and B12 tablet. Try them." The buckle was sticky. I wiped the mud off it. "I think your best bet, though, would be to combine them with the Gain Weight tablets. It'd serve a double purpose since you're trying to gain weight anyway." "Will that do it?" he asked. "I think so. The mechanics of nutrition and nervous energy and so on is a pretty big subject. I'll explain more of it to you some other time if you like." I wiped out the inside of the mask. "Just cut down on your training plus take the supplements for now and don't worry about it." "Okay," he said. "I'll try them." "Good. Now give me a hand with this, will you?" He helped me into the harness and I strapped on the tank and weight belt. "When should I stop taking the supplements?" he asked. I stuck the mask on and slid it up on my forehead. "Don't quit. You should be taking them anyway if you're training. If you'd been taking them all along you probably wouldn't have gone stale in the first place." I picked up the flippers. "You'd have gained more weight, too. Don't forget that muscular weight depends on proper nutrition as well as the right amount of exercise." We walked down to the end of the dock. The crowd had been milling around, but now they quieted down and watched. "Busy place," I said. "I wouldn't mind having a fish and chip stand here." I shook the snow off the safety rope and handed it to him. "Take it easy with this." I looked at him carefully but he never changed expression. "Cool," I said. "Get it?" "Sure," he said. "Real funny."